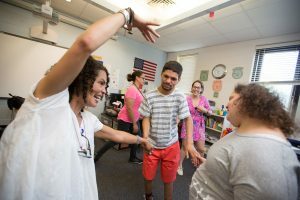 Ädelbrook’s Learning Centers are private special education programs certified by the State Department of Education to serve students with autism, neurodevelopmental disorders, emotional disturbance, and learning disabilities from pre-Kindergarten through grade 12. Ädelbrook’s Transitional Academies, for students ages 18–21, focus on life-long learning and life skills, and employment proficiencies through meaningful work experiences and community engagement. Admission to Ädelbrook is based on recommendations from the student’s local school districts, through the Planning & Placement Team (PPT). A referral packet is sent to Ädelbrook’s Learning Centers or Transitional Academies and reviewed by our administrative team. Parents/Guardians are welcome to visit our facilities by contacting the local administrator. Our facilities are intentionally designed to help students transition from former environments to one that encourages greater independence within a nurturing, learning community that offers hope and healing. Ädelbrook welcomes the opportunity to be your partner in providing first-rate behavioral, developmental, and educational services. Ädelbrook’s educational continuum supports students so they may have a successful and enriching school experience. Each student’s learning activities are specially designed to meet individual needs. All student programs emphasize academics through the STREAM (Science, Technology, Reading, Engineering, Arts, and Mathematics) approach, language development, social interaction, behavioral self-regulation, and maximizing independence. Our dedicated staff create a nurturing and supportive environment that maximizes the strengths of each individual so that they may reach their full potential in home and community life. Ädelbrook’s educational team focuses on the needs of the whole child, in a place where hope is found, while providing support to families. Ädelbrook offers a school-based clinical intervention program, T.E.A.M. (Therapeutic Educational Alternative Model) for students at risk of educational outplacement. All five special education locations offer an Extended School Year (ESY) program, totaling 214 days of instruction. This program fosters continuity for students through summer months. Within our educational continuum, behavioral services are an integral component promoting positive progress in all areas of our students’ lives. Our focus is the use of Applied Behavior Analysis within all of our settings to build important life skills and reduce problematic behaviors. 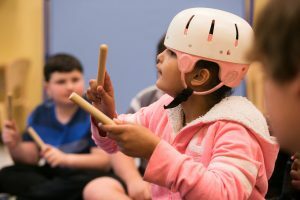 Our team of behaviorists, overseen by Board Certified Behavior Analysts (BCBA), provide intervention and treatment utilizing evidence-based procedures and adherence to best practice standards by the Connecticut State Department of Education and Behavior Analyst Certification Board. Utilizing an interdisciplinary approach, our team integrates treatment with education, occupational therapy, speech and language and social work. This approach ensures that our students receive the most comprehensive and focused treatment for their needs. Nursing creates individualized care plans for our many clients with highly specialized needs. The team tracks each individuals array of medical needs, to ensure a continuum of care across all providers. The medical department works with Parents, Occupational Therapists, staff, clinicians, behaviorists, food service and the school in a team approach to customize the medical needs of each client. This team approach is helpful in identifying any potential underlying medical component that may be contributing to behavior. The Ädelbrook Occupational Therapy Department provides individualized evaluations and consultation services to help maximize participation in daily tasks such as eating, hygiene, and functional mobility. Our goal is to support each individual in achieving their highest level of functional performance within the least restrictive environment. School psychologists are uniquely qualified members of school teams that support students’ ability to learn and teachers’ ability to teach. They apply expertise in mental health, learning, and behavior, to help children and youth succeed academically, socially, behaviorally, and emotionally. The school psychologist provides individual counseling for students and conducts psychological evaluations including cognitive and behavioral/social-emotional functioning. Ädelbrook also has a psychiatrist available to provide medical attention as needed at the request of the local school district. Social Workers help students, families, and groups enhance their individual and collective well-being. Our Social Workers assist students with the skills to resolve problems. Our clinical social workers are involved in assessment, diagnosis and treatment of behavioral and developmental conditions. Under the supervision of a Speech and Language Pathologist, our Speech and Language Pathology Assistants (SLPAs), provide individual and whole class intervention to build language and communication skills, as stated in the student’s Individualized Education Plan. SLPAs provide training in our Total Communication program that utilizes alternative forms of communication such as Picture Exchange Communications, technology and American Sign Language. The team also supports students in daily activities to encourage appropriate communication skills to generalize to all areas of the student’s life. The Learning Center Manchester is a highly motivating school environment with enriching, student-centered activities. The developmentally appropriate curriculum incorporates evidence-based practices, which assure individualized educational programming and includes discrete trial teaching and Applied Behavioral Analysis (ABA) based methods. Our classrooms are created to stimulate and engage students in activities designed to foster their emotional, social, physical, language and cognitive development. Children are encouraged to learn through discovery and exploration, with staff creating a solid scaffold to support students as they develop and grow both academically and socially. The early childhood curriculum adheres to both the National Association for the Education of Young Children and Division of Early Childhood Recommended Practices and the Elementary Curriculum follows the Connecticut Common Core Framework. Our curriculum is multisensory, socially integrated and visually supported in order to meet the individual needs of our diverse population. These strategies and skills provide students with the confidence to interact with peers in group activities inside and outside of the school setting. In order to foster and provide a highly motivating and trusting school environment we offer enriching, student-centered activities. The individualized educational programming includes STREAM (Science, Technology, Reading, Engineering, Art and Mathematics), Discrete Trial teaching and ABA based methods. Classrooms are technologically well-equipped to enhance the learning and communication opportunities for each student. Our indoor Sensory Room and Climbing Wall are designed to meet the vestibular and proprioceptive needs of students which help them to develop self-regulation, gross and fine motor skills. With student’s involvement, we have created a sensory experience outdoors, through the development of a playground, vegetable and flower gardens. Music Therapy is used within a therapeutic relationship to address physical, emotional, cognitive, and social needs of individuals. It also provides avenues for communication that can be helpful to those who find it difficult to express themselves with words. We offer play based learning in order to develop positive attitudes of self-motivation and self-direction, self-confidence cooperation and group values. Through play children can develop social and cognitive skills, mature emotionally, and gain the self-confidence required to engage in new experiences and environments. Regular educational field trips are offered to support community integration and the teaching of life, functional and safety skills. Students are provided with wellness and adaptive physical education as part of the overall curriculum. A critical component of the program is collaboration and support provided with and for families by The Learning Center staff. Our educational team assists parents/guardians in identifying community resources and connecting them with other relevant supports. This triangle of support is critical to the development of the whole child. Clinical Support: Comprehensive Psychological, Educational, Social, Emotional, Communication, Positive Behavioral Interventions and Supports (PBIS), Social Consecutiveness and Emotional Self-regulation. The program serves the educational needs of Ädelbrook residents as well as day students from surrounding communities. With an emphasis on autism spectrum disorders (ASDs), we provide programming appropriate for students with a variety of learning, communication, social, behavioral and intellectual challenges. Our Cromwell location provides each student with a positive, individualized and highly engaging educational experience. In addition to the Extended School Year (ESY), we offer an Extended Day Program (EDP) throughout the school year. The classrooms are small with a low student-to-staff ratio and are designed to provide a highly structured, language rich environment that promotes student growth in the areas of communication, social development and independence. Our curriculum is aligned with Common Core State and National standards and is developmentally appropriate. We provide individualized educational programming including modified discrete trial teaching and Applied Behavioral Analysis based methods. Our Cromwell location offers traditional courses in math, language arts, science, social studies, health, physical education, and elective options required for high school graduation. Special classes such as computers, adaptive physical education, art, and culinary classes are available to help increase students abilities. Additionally, enrichment classes are offered in collaboration with other community organizations. The main objective of The Learning Center is to create an atmosphere of success that propels our students forward. Technology is an important curricular component. All classrooms have SMART Boards and the school has two fully equipped computer labs and a multi-media center in the library. Students are provided personalized devices for instructional purposes, picture schedules, augmentative and alternative communication systems and motivational tools. Online credit recovery and virtual learning opportunities exist for students on an individualized basis to meet their credit needs and areas of interest. The Learning Center offers an extensive vocational program for students who are fifteen years or older. Following a comprehensive vocational assessment that includes but is not limited to an interest inventory, situational assessment and a review of assistive technology needs, students are provided with a job site that matches their abilities. Students work under the supervision of a job coach, either on grounds or in the community. Every attempt is made to provide a variety of settings to expand their interests and develop important life and vocational skills. East Hartford Learning Center is designed to provide a personalized learning environment with a low student-to-staff ratio. This program promotes the development of positive social, emotional and behavioral skills. The academic program provides relevant courses required for obtaining a high school diploma from the LEA (Local Education Agency). An emphasis is placed on facilitating effective self-regulation and coping skills through counseling services as well as behavior support. When recommended by the Planning and Placement Team (PPT), functional behavior assessments are conducted and individual behavior plans are implemented. The East Hartford Learning Center offers traditional courses in English, math, science, social studies, health, physical education, and electives required for high school graduation. Instructional methods stress the application of skills and accommodate a variety of student learning styles. The Learning Center is aligned with Common Core State Standards, utilizes evidence-based instructional strategies and incorporates learning accommodations per student Individualized Education Plans. Credit recovery opportunities exist to engage each and every student. Teachers and instructional support staff are trained in trauma informed and relationship-based care. One of the main objectives of the East Hartford Learning Center is to provide an educational environment that values achievement and success and supports student growth in academic areas as well as social/emotional/behavioral skills.Technology is an important component in our instruction.SMART boards and computers are available in classrooms and in the computer lab to support student learning and preparation for post-secondary education and/or workplace skills.Opportunities for hands on and integrated learning experiences that stress the development and application of new learning across content areas are provided to enhance students’ motivation, engagement and skills.In addition, we partner with other organizations and agencies who are able to provide educational experiences for our students. Our facility provides a full gym with physical education and wellness programs. The East Hartford Learning Center offers experiences in acquiring work readiness skills as well as providing opportunities to explore various workplace options. Following an assessment that includes a career interest inventory, review of previous evaluations and work samples, personal interviews and observations, students are placed at a job site that matches their interests and skills either in the program or in the community where they work under the supervision of a job coach. Students are provided the opportunity to work in a variety of settings to expand their interests and develop skills in a variety of areas. The onsite culinary program gives them the opportunity to develop food preparation skills that can effectively generalize to restaurant settings. Individuals learn workplace accountability through clocking in and out when beginning and ending work tasks, and by discussing their experiences with their job coach and/or teachers. Career pathways are explored and staff highlight post-secondary education that would enhance career growth. Assistance with applications to post high school education and/or training is also offered. Positive Behavior Intervention and Supports (PBIS) is the behavior intervention philosophy used to teach self-regulation and respectful interactions with others that are necessary for success in school and the workplace. All students earn points by demonstrating expected behaviors. Points can be used to access available preferred activities and items in the school store. A Board Certified Behavior Analyst (BCBA) consults with the school’s behaviorist when a functional behavioral assessment is requested by the PPT and to assist with the development of individual behavior plans. The School Social Worker provides individual and group counseling to address students’ IEP goals in the social/emotional/behavioral domain as well as crisis intervention and referrals to community-based services when necessary. The focus of these services is for students to improve their coping and self-regulation skills and to apply them in their interactions in the classroom and other school/work settings.